The Ford Essex engine is produced in Canada and centered around the 3.8 displacement. This engine ruled the early 1980s for Ford vehicle installations. The Ford F Series, Mercury Cougar, Thunderbird, Capri and other vehicles used the Essex V6 motor. The F150 series pickups are mostly associated with the Essex motors. These vehicles successfully used this series from 1982 until the mid-1990s. 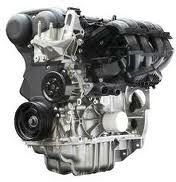 The https://remanufacturedengines.co company provides the differences that engine buyers cannot not find elsewhere. Some of these differences include the pricing, in stock inventory and instant web pricing. Buying a 4.2 Ford engine is fast and easy here. The 4.2 displacement was created exclusively for the F150 pickups. This slightly larger V6 series provided a power upgrade appreciated by buyers. This engine was used in vans as well as pickup trucks to offer extra torque and power. Our company is a rebuilding company. This means that we have the technology in use to provide OEM Ford replacements. Purchasing rebuilt saves money. A reconditioned motor purchased here is easy to install. Each Essex V6 Ford motor built here is completed by our own mechanics. This ensures that accuracy is always with each step of the rebuilding process. A process known as dyno testing is used here. This is a measurement of performance. The calibration and measurements that are offered with these tests prove a job well done. Putting engines through tests is our policy. This ensures that all rebuilt motors sold by our company will install easily. Motors are guaranteed to start up and provide the natural usability expected. The Ford engine can be purchased anywhere online. What’s important is the proof that the engine is in the condition advertised. Our company takes care of each customer. We personally evaluate every motor before it is sold. The 4.2 is one of the Ford variants that we carry. F150 pickup truck owners use our resource online to locate truck engines. These include the Triton, Raptor, Cologne and other popular types. The shipments made here are always fast. We do this for customers for a reason. A large percentage of motors are purchased by installation companies. We understand engine install schedules. No customers like to wait. We instantly ship each 4.2 or other engine size daily. This means pickups and deliveries are made by our freight carriers constantly. These efforts combined with our three year warranty help provide better engine quality. Our friendly and helpful customer service experts provide immediate assistance. The quotes here are fast. These are faster than auction bids. We customize each price and shipping. Our team works fast to review information. All use of our quote form is monitored. This is to ensure quality and speed are present. We cross-reference part numbers and information entered in our quote system. The toll-free telephone number we provide is easy to use. We pay for the call for all customers. We give away the same quote information offline as we do online.